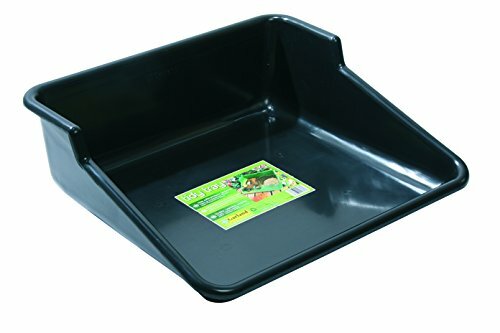 Essential garden accessory, this tough one piece potting tray keeps gardening chores tidy! Bring garden work inside with no mess. Use in the garage or as a play station for kids. 100-Percent recycled plastic. Tierra Garden is an importer, designer and manufacturer of distinctive garden products that has developed a reputation for quality products and a broad selection of unique garden hard goods.